On Monday evening, February 8th, retired NC State Trooper Harry Stegall was a guest speaker at the Bladen County Sheriff’s Office Citizen’s Academy. “He was a survivor of an assault that left him on the side of the road for dead having been shot seven times by a fugitive outlaw from justice that he had stopped for speeding,” said Sgt. Gary Turlington. Stegall is the author of “Badges, Bullets, and Blood” and presented his story of the desire to survive to everyone present. In attendance, were also a group of Cadets from the Paul R. Brown Leadership Academy. Trooper Stegall was so impressed by the professional conduct and well mannered Cadets that he sent back an endowment to take the Cadets to dinner, according to Sgt. Turlington. 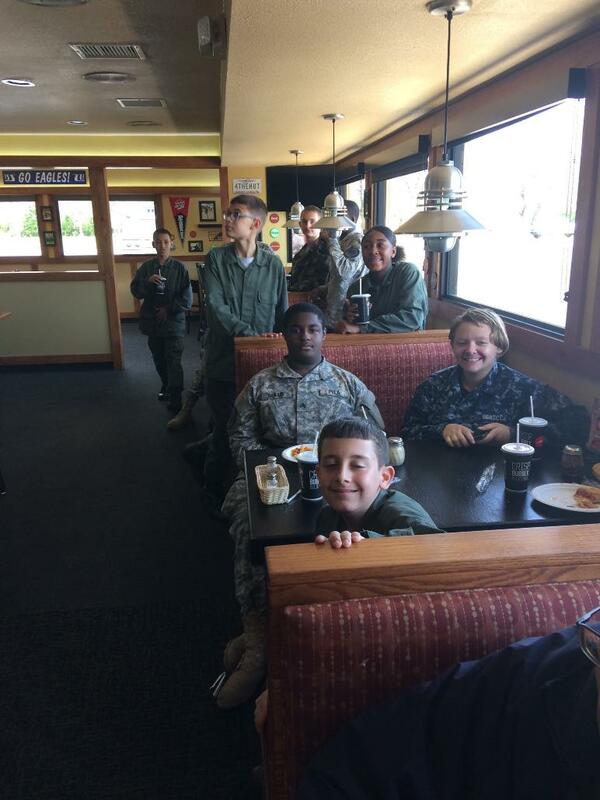 “After having inquired about where the Cadets would like to eat, they expressed the need for pizza. So with that in mind, I contacted the manager of the Elizabethtown Pizza Hut (Tina) and was told they would be happy to accommodate a group this large of hungry pizza-starved Cadets,” said Sgt. Turlington. 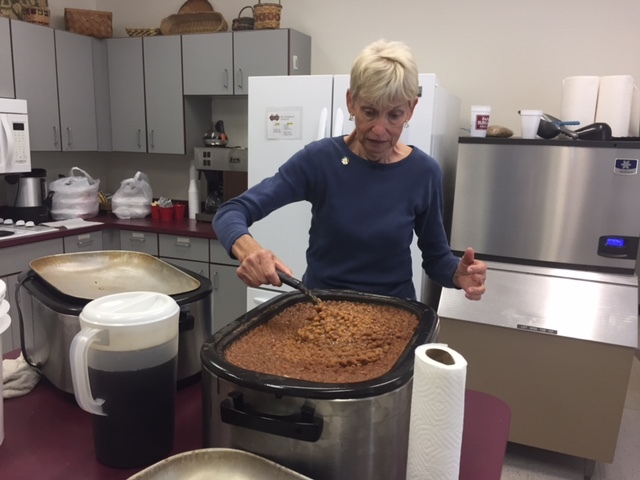 Thanks to the generous endowment provided by Trooper Harry Stegall, the PBLA Cadets met the Bladen County Sheriff’s Office Specialized Training Unit and Sergeant Leon Graham who is the Supervising Bladen County School Resource Officer for lunch, according to Sgt. Turlington. Bladen County Sheriff Jim McVicker stopped in to see the Cadets and to wish them well in their endeavors. Trooper Stegall sent back a message from his previous classroom delivery for the Cadets: “TKWYR BYDKWTR” which means THEY KNOW WHO YOU ARE, BUT YOU DONT KNOW WHO THEY ARE. “This is an important message for everyone to stay safe and to look after one another,” said Sgt. Turlington.